This feature allows to direct each of the four the Mitel Networks 3300 ICP log applications and ACD Real time events to remote applications via IP. 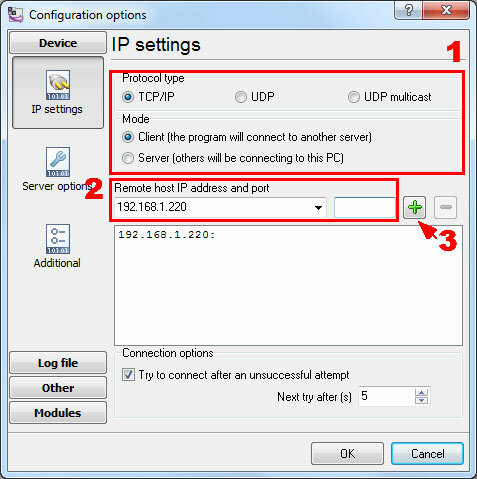 The system listens on the following port addresses for remote connection requests. Our software should work in the TCP client mode. It means that our software will initiate connection with the PBX and the PBX will work as a server. Add one or several PBX IP addresses here (the IP address of the Mitel 3300). The port number should match the port that you have defined within the PBX (1752 in the example below).